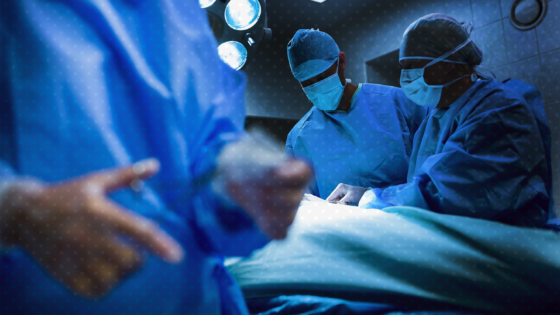 Slate wants you to be concerned that, "A Disproportionate Number of Autistic Youth Are Transgender." Here's why that concern is BS. 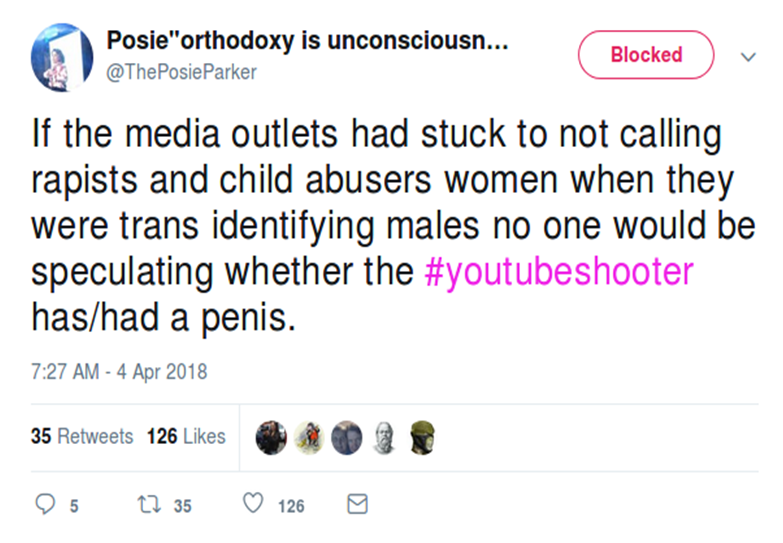 Yes, they worked to make people believe the YouTube Shooter was a trans woman and the mainstream media didn’t want you to know, but that’s a symptom of a larger problem. On April 3rd, 2018, an armed shooter opened fire at the Youtube headquarters in California. 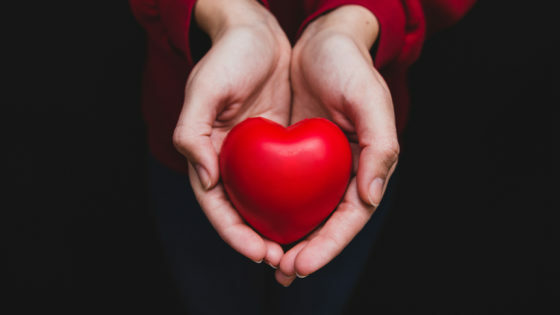 Shortly afterward, as is becoming an epidemic in our current online culture, conspiracy theories and misinformation made the rounds faster then verifiable information could be gathered. 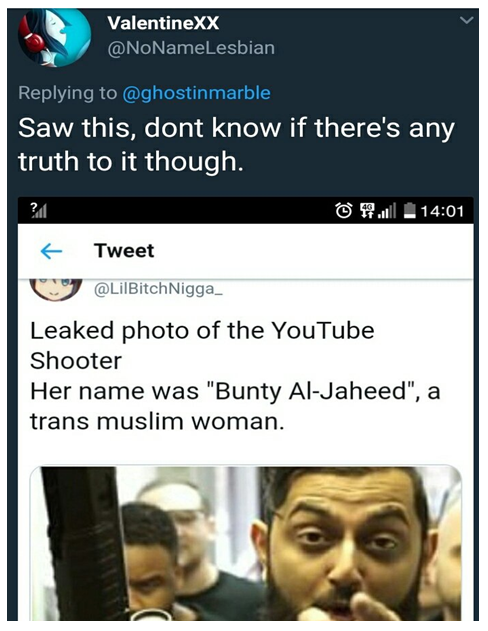 There were claims that the shooter was Muslim, which was incorrect. She was Baha’i. There were claims she was there as revenge for domestic violence acted against her by a boyfriend that worked there. This also proved untrue, she was there to protest against her channel being demonetized. However, the most persistent rumor, supported by both far-right and anti-trans feminist activists, was that she was actually a trans woman. The spread of this rumor was a concerted effort of both online trolls and political personalities you would think would know better. 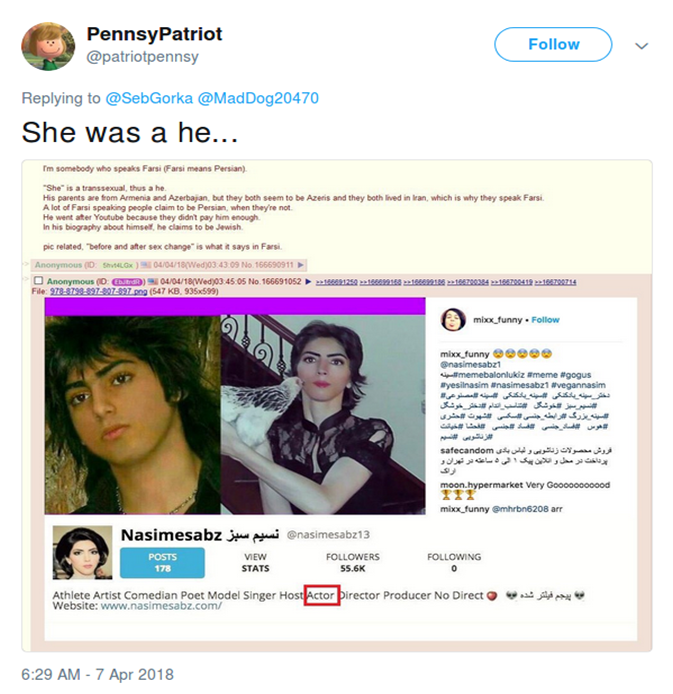 A frequently repeated claim is that “Nasim” is an exclusively male name in Iran, which would come as a shock to long-time Saturday Night Live alumni actress and comedian Nasim Pedrad. They also point to her muscular frame, not particularly unusual since it’s known she was a bodybuilder. The irony that both right-wingers that believe in traditional gender roles and self-identified radical feminists that claim to rebel against such roles come to the same conclusion is not lost. This is not the first or last time these two groups have worked together. 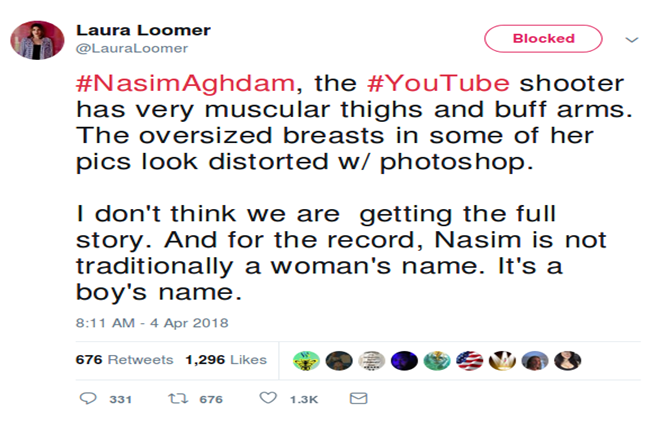 These people have pored over social media accounts and old photos, desperate for some sort of “tell” that the shooter is “not a real woman.” This aggressive and essentialist appeal to stereotypes and phenotypes of what a woman’s body “should look like” has brought criticism of the implicit misogyny. 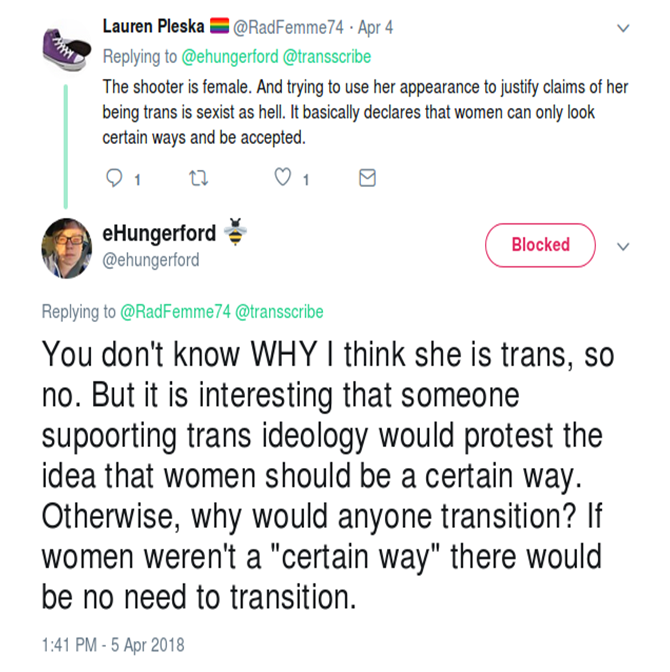 Their current spin is to claim this skepticism is rooted in media “gaslighting” that occurs when media supposedly willfully covers-up background information about trans women that commit crimes. However, in reality, even trans women who are victims of violence find their old names and histories dredged up in a sensationalistic manner. It’s a consistent issue GLAAD has formally addressed as recently as a week ago. 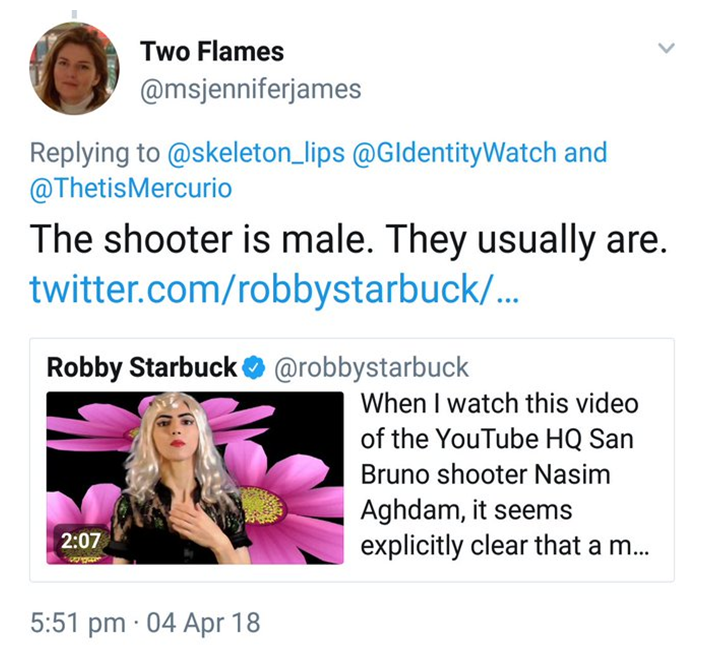 To claim otherwise, that somehow the trans status of the Youtube shooter would be covered up or treated as a non-issue by the media is absurd. For example, here is the sort of posthumous dignity a British newspaper allowed a trans woman who was chopped to bits and boiled into a slurry by her boyfriend. We live in an age now where it’s undeniably proven that information and narrative can be wielded as weapons for political gain. It’s important not to just analyze who is deliberately providing false information, but why.